Simultaneously switches two isolated battery banks. 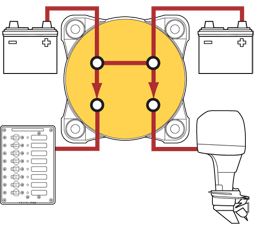 SI-ACR automatically combines batteries during charging, isolates batteries when discharging and when starting engines. 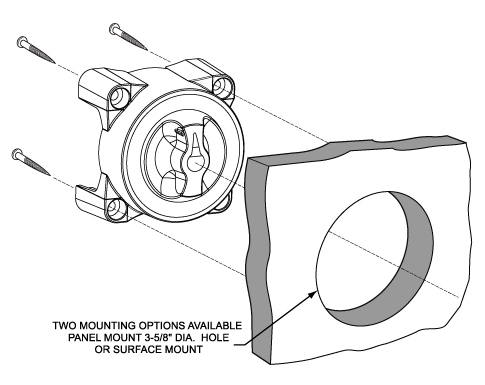 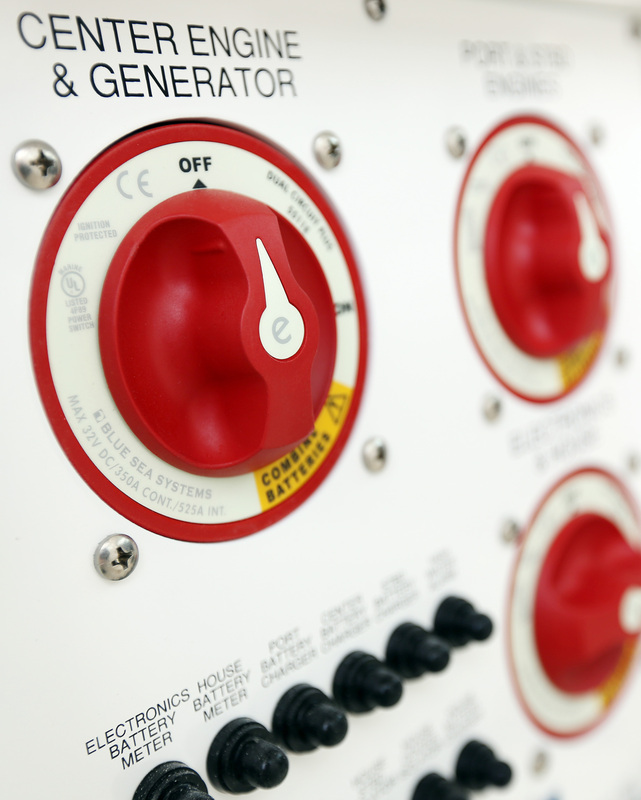 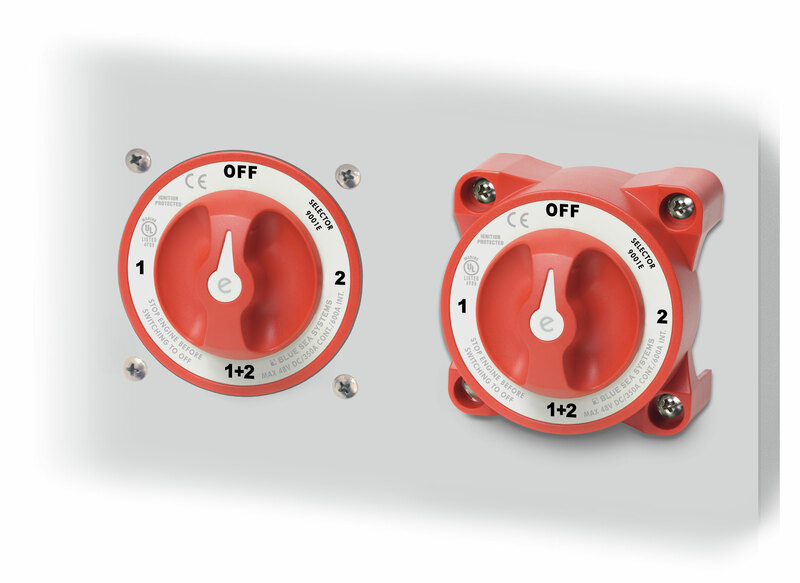 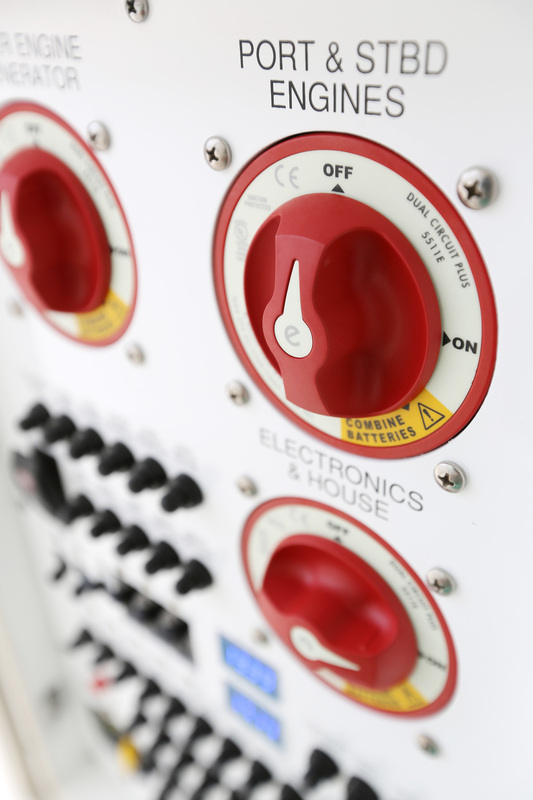 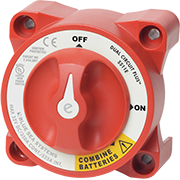 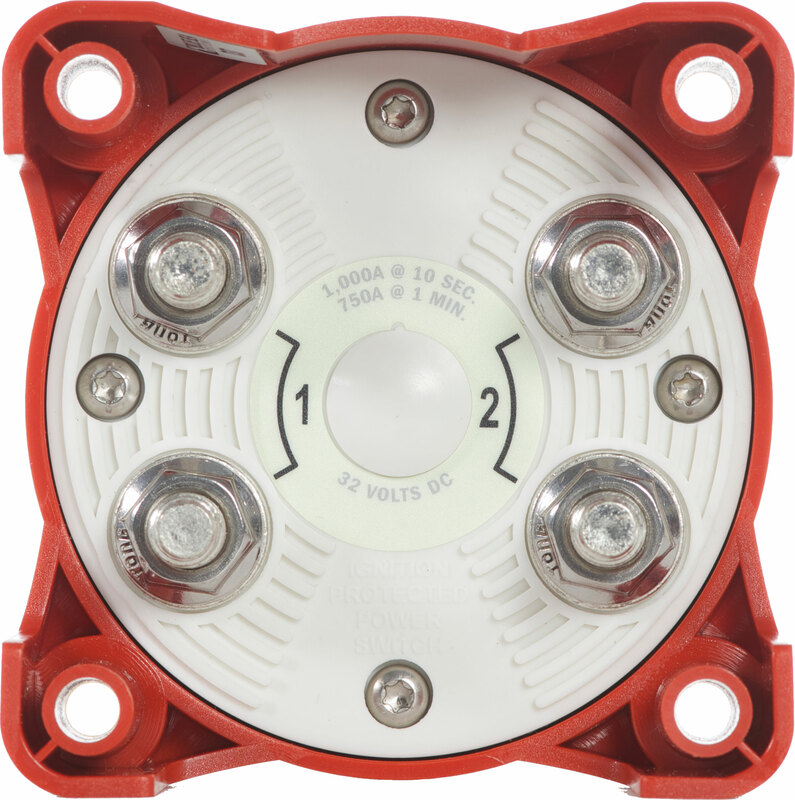 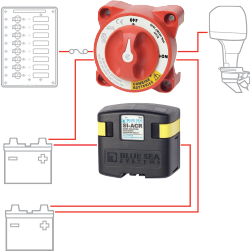 The Dual Circuit Plus™ Battery Switch simplifies the switching of two batteries to OFF or ON while still providing battery isolation between the engine and auxiliary battery. 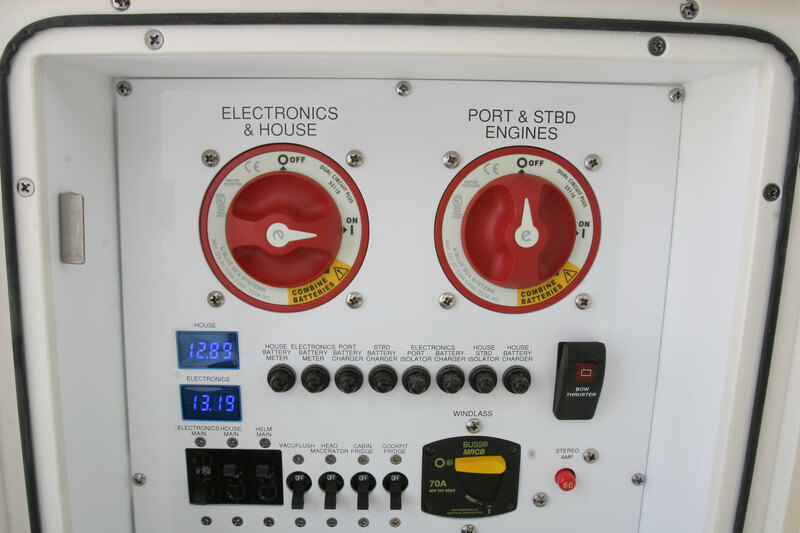 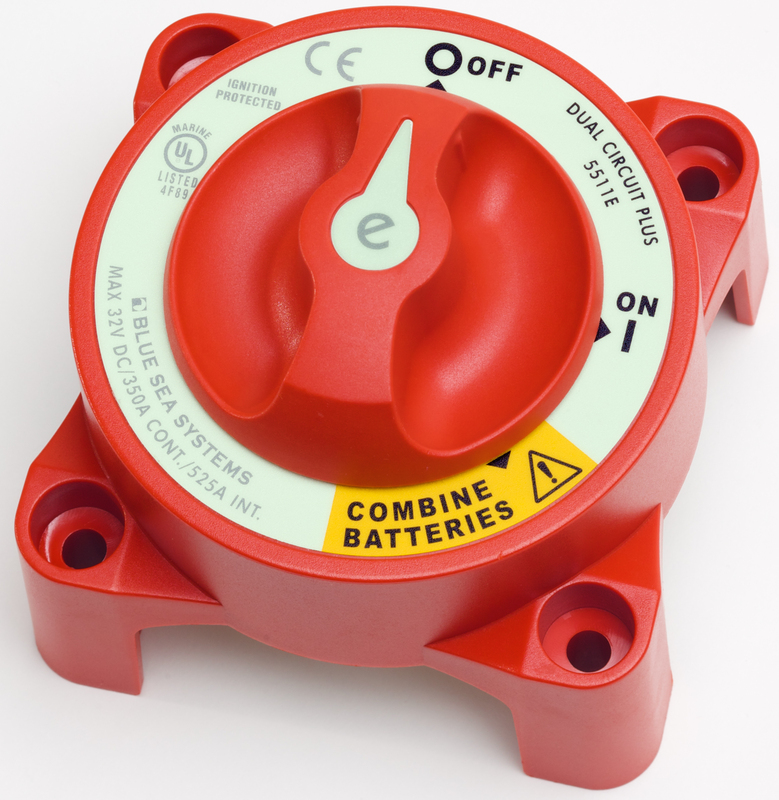 The Combine function can be used to parallel the batteries in the event of a low engine battery.